We had a blast on Halloween becoming Nirvana… thanks to everyone who attended, it was a spectacular evening!! 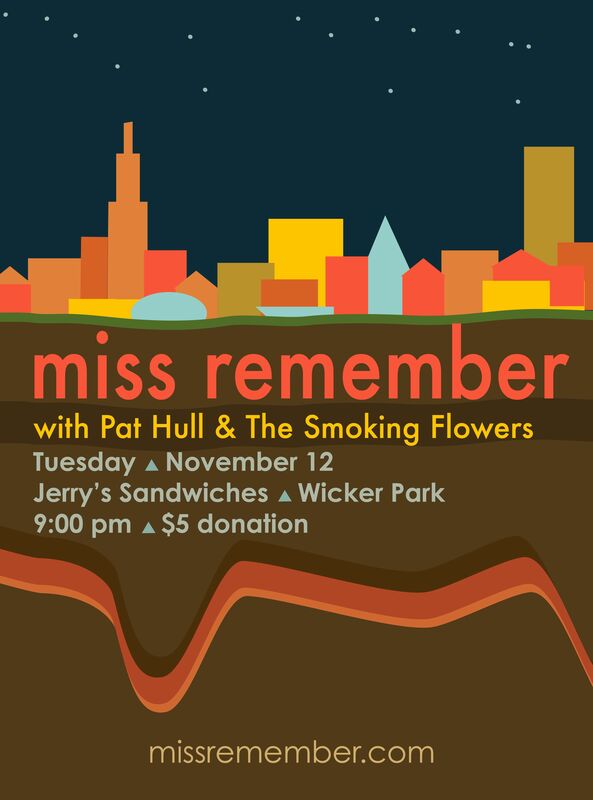 We are back at Jerry’s with two fantastic bands currently in the midst of a tour: Pat Hull (Brooklyn, NY) and The Smoking Flowers (Nashville, TN). PLEASE come support this night of music – will be a great evening of new music for your ears!! ps- this GREAT poster was made by Nikki Way!